The John F. Kennedy Community Service Award is presented by the Santa Fe Family Life Center (“SFFLC”) to recognize Oklahomans who have served the community in lasting and significant ways. 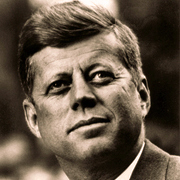 The award tribute to the memory of John F. Kennedy, the thirty-fifth President of the United States, a proud member of the Knights of Columbus, and an advocate of community service as a hallmark of good citizenship. ________________________________________________________________________________ Guidelines for Making Nominations: All nominations must be submitted by February 15, 2019. In the space provided on the form, the nominator must answer all questions about the nominee. The recipient of the John F. Kennedy Community Service Award will be announced this fall at the John F. Kennedy Community Service Awards Gala. 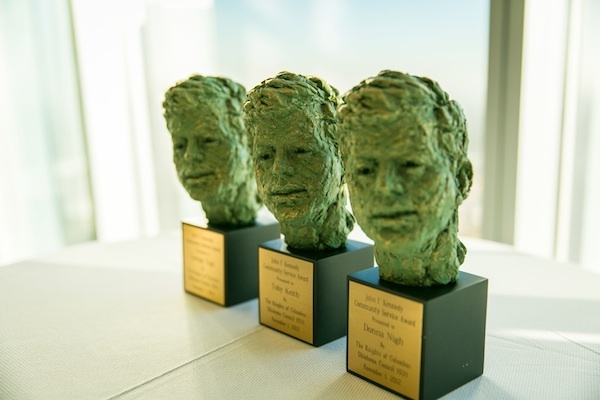 Nominations must be submitted via email to jfkaward@sfflc.com by February 15.